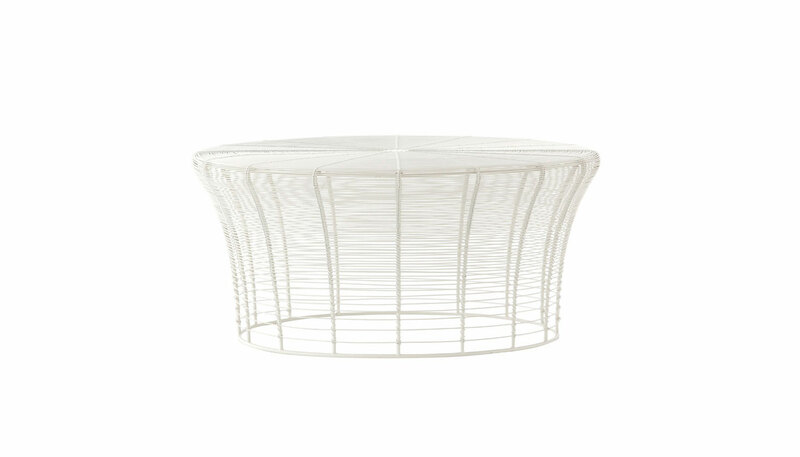 The Aram table is constructed in handmade, powder coated iron wire. The table is not intended for outdoor use and is available in two size options. The Aram table is offered in a white, yellow, green, turquoise, pistachio, coral, sand, bronze, or anthracite finish with an additional lead time of 12 weeks. Manufactured by GAN. Price includes shipping to the USA.